A view from IJM’s Parkview Towers in Bukit Jambul. Some buyers like the area’s greenery. NORTH Sumatran cities such as Medan and Bandar Acheh provide an alternative market for Penang properties during this global recession period. IMT-Gt Joint Business Council Malaysia chairman Datuk Faudzi Naim Noh told StarBizWeek that there is a demand for Penang properties from well-to-do Indonesians because it is common for a small and medium size entrepreneur in these cities to earn a RM20,000 to RM30,000 income per month. “They could be hawkers, but they have access to a larger market. “A significant portion of the entrepreneurs are involved in the palm oil and bird nest trade, which are not that badly affected by the global economic crisis. “Medan, for example, has a population of about four million, of which about 30% earns between RM20,000 and RM30,000 monthly,” Faudzi said. He was speaking after launching ADA Shared Services Sdn Bhd new office at the RM100mil SunTech Tower in Bayan Baru, also known as Penang Cyber City 1. Faudzi said some six developers and shared services companies from Penang would show case their products and services at the Penang Fair in Medan 2010 from March 29 next year until April 3. “Landed and high end residential properties priced from RM500,000 and above will be exhibited at the fair. Properties from Penang generally sell well in Medan, as there are many Medanese who are looking to Penang as an education destination,” he said. Faudzi added that Medan and Acheh are new markets which Penang-based shared services companies could explore. “In Medan and Acheh, there are not that many shared services equipped with advanced IT infrastructure, whereas there are such companies in Penang,” he said. Meanwhile, ADA Shared Services managing director Soo Chee Leong said ADA aims to tap into the market for new multinational corporations and small home offices employing limited staff. They will be offering their services in the Penang Fair in Medan next year. PRIOR to 2005, I stayed in a walk-up apartment located on the fourth floor. It was my bachelor pad and of course walking up four-storeys was not a problem. That apartment served me, a care-free single, very well. (1) Sell my apartment and move into a bigger semi-detached house. This option is attractive as it allows me to manage my cashflow better since I would only service one mortgage. However, I have to be mindful of the property cycle. In a best-case scenario, I would make a profit if I were to sell when the property market cycle is up. But timing was not in my favour then and if I were to sell it, I would have made a loss. (2) Keep the apartment, rent it out and move into a slightly smaller terrace house. For this option, I would be servicing two mortgages concurrently. It would also mean that I have to manage the risks of not being able to rent out the apartment or have a low rent returns. But it would provide me with an opportunity to wait till the market improves further before I sell the apartment. To reduce the mortgage burden, I would not be able to afford the bigger semi-detached house. ·Cashflow – Rental versus on-going expense. Simply put, this refers to the assessment between inflow and outflow of cash in relation to the property. For first-time investors, you may not be fully aware of the operating expense. Some of these costs are high, since tenants usually do not take good care of the house, its fixtures and appliances. This means that ongoing repair and replacement costs are higher and more frequent. Mortgage payment. The bulk of the outflow or expense is the monthly mortgage payment. This is the most obvious cost. In the event that I am not able to find a tenant to rent out my apartment, I must be able to keep up with both mortgage repayments. Monthly maintenance fee / conservancy fees / sinking fund. Most condominiums have such fees which can cost up to a few hundred dollars a month. This can add up over time. Fully / Partially furnished. Units that are furnished naturally fetch a better price, but some tenants have difficult demands. Though most of these are one-off expenditure, there can be ad-hoc expenses for repair due to wear and tear. The same is also true for fixtures and appliances for the apartment. One must be prepared for such contingency expenditures as they do happen from time to time. Agent fee. While this is once-off, whenever tenants change, you end up paying another round of agent fee to look for another tenant. It is good to get expatriates given their deeper pockets, but they can terminate their tenancy whenever their employment changes. You may incur additional agent fees when you have to look for new tenants. It usually requires only a two-month termination notice. If your tenant stays for three years, you would have effectively “saved” on such fees compared to having tenants who stay for one year at a time. ·Risk of an empty house. When times are uncertain and economic growth is weak, the risk of not having a tenant or having a tenant who pays low rent is very real. When this happens, you must have other sources of income to pay for the shortfall. Otherwise, you may be faced with an unattractive option of selling the property at a low price or worse, creditors might foreclose the property due to defaults on loans. In my case, I was cautious. I wanted to make sure that even without a tenant for six months, I would have sufficient savings and income to comfortably service my two mortgages. This will ensure that I would not run into a tight cashflow situation. Perhaps I have the advantage of being in the financial services profession, and I’m able to assess the risks to ensure that I can manage them before I embarked on buying my choice of home and investing in a property. I cannot emphasise enough the importance of cashflow considerations in managing personal finance. Besides, banks giving out loans do take into account the client’s ability to service their loans which, in principle, is an assessment of the client’s cashflow position. So as the idiom goes, cut your coat according to your cloth. ·Tay is senior vice-president and senior head of UOB’s personal financial services division. 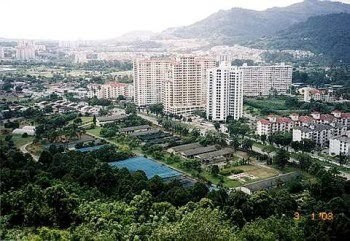 REAL-ESTATE and Housing Developers Association (Rehda) along with two other associations, have petitioned the government to forestall the implementation of Real Property Gains Tax (RPGT) come January 1 2010. Rehda patron Datuk Eddy Chen told reporters yesterday that three associations, Rehda, the House Buyers Association and Associated Chinese Chamber of Commerce and Industry, sent a memorandum to the government last week, as a last ditch effort to stop the implementation of RPGT next year. He was speaking at the "Conversation with Industry Leaders - Expectations and Perceptions of 2010 Outlook" forum yesterday, held during the two day 14th Malaysian Capital Market Summit 2009, organised by the Asian Strategy & Leadership Institute. Chen said inconsistencies in policy making, such as in the case of the RPGT, would drive foreign investors away. "For example, RPGT was abolished some two years ago, and developments became attractive to foreigners, now that the building is completed, we are slapped with the 5 per cent RPGT," he said. Rehda is expecting flat overall growth for the real estate sector going forward, as certain segments of the markets flourish, while other suffer. Chen said, while buyers who are owner-occupiers are doing well, investment type properties are facing problems. Most people would have had the very bothersome and cumbersome experience of moving into a new house. There is the furniture to choose, the kitchen cabinets to put up, the grille and lighting to install and the flooring and heating system to consider. The to-do list can be insane! So it promises to be a relief that a one-stop centre for home products and related services will be set up at the end of 2010 to help homeowners clear all that workload. Viva Home will be the first of its kind in the country when it opens its doors for business. It will be complemented by a range of food and beverage (F&B), leisure and entertainment outlets as well as a hypermarket. 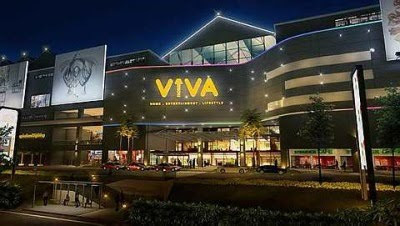 Located along Jalan Loke Yew, Kuala Lumpur, Viva Home is a redevelopment of an existing building carried out by Viva Mall Sdn Bhd, a company under the Kha Seng Corp Sdn Bhd umbrella, a niche commercial property developer with previous projects such as Central Market and Kenanga Wholesale City in its portfolio. The mall will feature five levels, 300 tenants and 2,100 car park bays. Refurbishment work has already begun and when completed, Viva Home will offer a net lettable area of 660,000 sq ft for lease. Typical lot sizes range from 300 to 2,000 sq ft. Mini anchors range up to 15,000 sq ft. Rental rates will range between RM4 to RM20 per sq ft, with some being on a profit sharing basis. At its launch on Tuesday, a symbolic signing ceremony was held between Viva Home, MBO Cinema, ICT Gadgets (50,000 sq ft) and Old Town Kopitiam (10,000 sq ft). Viva Home also confirmed that a major hypermarket operator has signed on as an anchor tenant, taking up some 60,000 sq ft. The name will be announced when the required trade licences have been obtained. The retail mix will be 60% home products while the remaining 40% will be shared by the F&B outlets, information and communications technology outlets, oriental handiworks and the hypermarket. A further 60,000 sq ft will be dedicated for an exhibition hall, which will be used by home product manufacturers and suppliers. The mall has a take up rate of 50% at the moment. “We took up this venture after extensive research and market survey. We discovered an opportunity in the home furniture and furnishing sector for a destination which provides a comprehensive home shopping experience. “We found that when people shop overseas, they buy bags, clothes among other things, but not home products. They don’t buy products which require after sales services. Even for the super rich, they want to buy these things from Malaysia,” says Bong. Exclusive leasing agent for Viva Home, DTZ regional head of retail, Southeast Asia, Ungku Suseelawati Omar says convenience is a very strong driving force. “There is no need for you to go all over Kuala Lumpur sourcing and comparing products. You get everything in one place. There are loading bays for bulky purchases, spacious lifts and ample parking to make it a stress free experience,” she says. HL Design Group is the architectural and interior design consultants of the project. Its director, Martin Haeger says Viva Home is not going head on with IKEA or any other home furnishing shops. “Viva Home is giving you the whole range of household needs. Not only can you buy furniture, you can also get your automated gate, flooring and tiles here. Its totally different from what we have today,” says Haeger. He adds that the complete refurbishment of the mall includes the planning and redesign of the mall internally and externally, the creation of a mall entrance and retail configuration. All amenities and parking facilities will be upgraded and improved with some parking bays only for women shoppers. About RM70mil will be spent on refurbishment. Besides the retail mall, Phase 2 of the mixed development will feature a 260-room boutique business-class hotel above the retail mall. Construction of Phase 2 is due to begin in six months and will cost about RM80mil. “If you look at hotels which are located in the vicinity of malls, for instance The Bintang Royale in The Curve, Cititel Hotel and Boulevard Hotel in Mid Valley mall, these hotels have been extremely successful. “People like to be near the hustle and bustle of it all. They want the convenience of being able to do their shopping just a doorstep away,” says Haeger. Bong is confident the mall will take off successfully. “For any project that we undertake, we always prepare for the worse. If the project looks feasible even under such stringent measures, then we say ‘it’s on’,” says Bong. Haeger adds that property developers have also turned more positive in the last quarter, and have indicated more enthusiasm in launching their products in the near future. The construction of a world-class premium factory outlet, better known as the Johor Premium Outlet, in Iskandar Malaysia will boost tourism and lure more investors into the state. Iskandar Regional Development Authority (Irda) chief executive officer Harun Johari says the project, which was announced by Prime Minister Datuk Seri Najib Tun Razak in New York recently, would definitely attract tourists who are usually keen shoppers. They will help boost revenue, he says. “The Johor Premium Outlet is a strategic and catalytic project in Iskandar Malaysia and for the overall state of Johor. It will create a new market segment in tourism such as a luxury shopping destination,” he says. “There will also be substantial economic linkages to the local economy as well. We welcome such investments in Iskandar Malaysia as it will contribute to the gross domestic product,” he says. The project will also boost job opportunities, and also help small and medium enterprises (SMEs) expand the breath and variety of products and services they offer. “The project will be a boon to local investors who want to participate in Iskandar Malaysia’s progress,” he says. Meanwhile, South Johor SME Association president Teh Kee Sin says that the Johor Premium Outlet could provide an additional avenue for SMEs traders to do business in Iskandar Malaysia. “However, we are concern over how they are going to rope in SMEs,” he says. He hopes the Government is serious about roping in SMEs in the premium factory outlet as well as other projects in Iskandar Malaysia. “We feel certain tax incentives offered to foreign companies should be also offered to SMEs as well,” he says, adding that local SME traders should be given priority. Teh says SMEs hoped the economic corridor will be a success. “SMEs will be a great asset to Iskandar Malaysia,” he says. Johor Baru Chinese Chamber of Commerce president Loh Lian Hang feels the project is a winner for retailers, suppliers, consumers, and the local authorities. It is a much needed boost for the current challenging times, he says. “It will also increase investment in Johor, especially in Iskandar Malaysia,” he says. The project is a joint venture between Chelsea Premium Outlets and Genting Group and is being development as part of the Iskandar Malaysia project. Najib, who spoke about the project while he was in New York, had a discussion with representatives from the Chelsea Property Group. He says the project was on track, with construction expected to take off early next year and scheduled for completion by mid-2011. Chelsea Premium Outlets is owned by Chelsea Property Group, which is the world’s largest owner, developer and operator of upscale outlet centres in the United States, Japan and South Korea.